"It’s a perfect climate for living, producing and growing. The environment hasn’t been changed and that gives us total involvement in the natural system. This is heaven on earth"
Kangaroo Island farmers have a unique connection to their natural environment. They balance the elements, sustainability and conservation with their passion to continue the heritage of family farming. The mainstay of agriculture here is sheep, visible everywhere, with two-thirds of the Island farmers involved in wool production. There are over 500,000 sheep, bred for wool or tender lamb for the table. There is even a sheep dairy, making sheep milk yoghurt and cheese. Across the Island, pastures and paddocks define the land, with over 23,000 hectares of land devoted to canola, wheat, cereal crops and pulses. There are three large free-range eggs producers here, along with cattle, pigs and a smattering of other livestock. Add vineyards and vegetables to see a diverse and healthy agricultural industry thriving on Kangaroo Island. The pure, pristine waters surrounding the Island draw commercial fishermen and enthusiastic amateurs. Delicious King George Whiting, crayfish, abalone, prawns and oysters are considered by some as the best in the world. Ligurian bees were brought here in the early 1880’s and, in 1885, the Island was declared a bee sanctuary with no further imports allowed. Now home to the only remaining pure strain of Ligurian Bees in the world, Kangaroo Island honey is an icon of the Island’s food offering, with a distinctively complex flavour profile. Innovative new products constantly emerge alongside traditional agricultural products, with a number of farmers delving into marron production. Kangaroo Island marron is now highly prized with both Island and mainland chefs shouting praise about its delicate taste. Others farmers have diversified their plantings, experimenting with crops such potatoes, lavender, olives and figs. Agriculture Kangaroo Island is the peak industry body representing farmers on Kangaroo Island. Kangaroo Island Plantation Timbers owns and manages hardwood and softwood timber plantations, grown intensively on former agricultural land. Kangaroo Island Pure Grain was established in 2009 with a mission to provide premium returns to KI grain growers by producing pure, non-genetically-modified and traceable grain. South Australia's only commercial eucalyptus oil distillery. Producers of Eucalyptus oil, natural products and a unique tourist attraction. 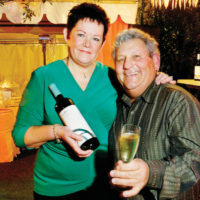 Hazyblur Wines is a small boutique winery established in 1998 by Ross and Robyne Trimboli. 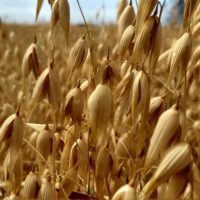 Kangaroo Island Oats is growing, sourcing, milling, packaging and wholesaling KI Oats into the retail sector both on the island and mainland Australia. This Kangaroo Island family business produces over 15,000 dozen genuine free range eggs per week for sale in South Australia, Melbourne and Sydney. Bellevista directors are at the forefront of farming innovation on Kangaroo Island, employing the latest technologies in agriculture. 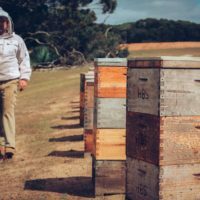 We are organic beekeepers situated on the West End of Kangaroo Island at Hanson Bay Wildlife Sanctuary. We invite Kangaroo Island businesses and groups to become a member of Brand Kangaroo Island and join us in working together to promote our region and grow our regional prosperity. Become a friend of Authentic Kangaroo Island.